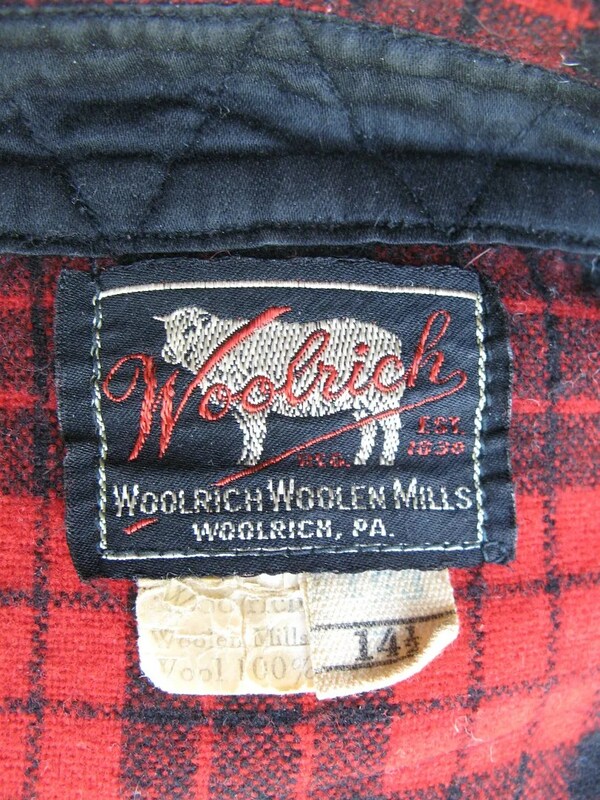 This shirt was made in the early 1940s by the Woolrich Woolen Mills in Woolrich, PA. 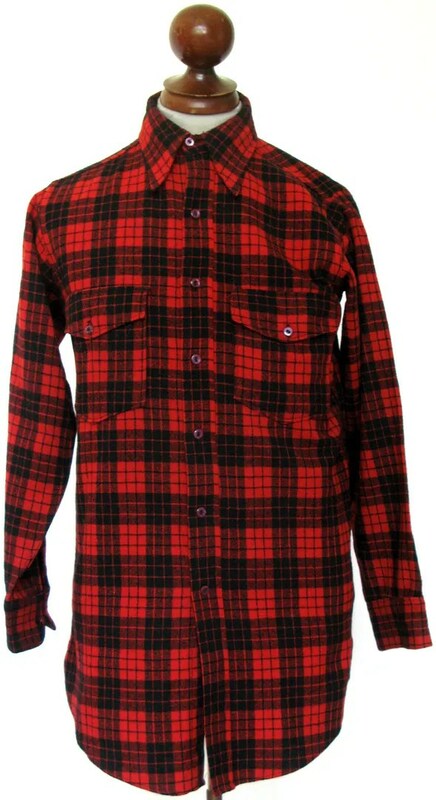 It is made of a lighter weight wool than most Woolrich shirts. 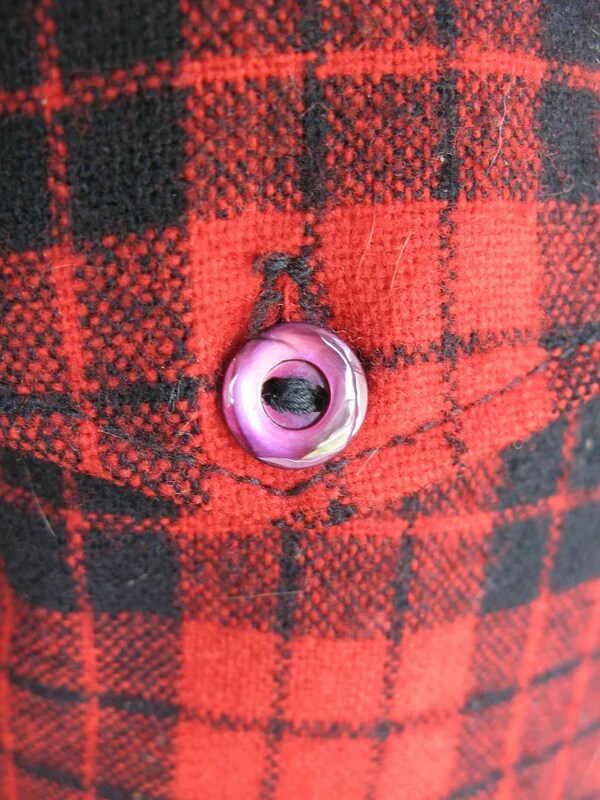 It has fancy glass buttons instead of the usual red cateyes. The label on this shirt was only made in the early-mid 1940s. 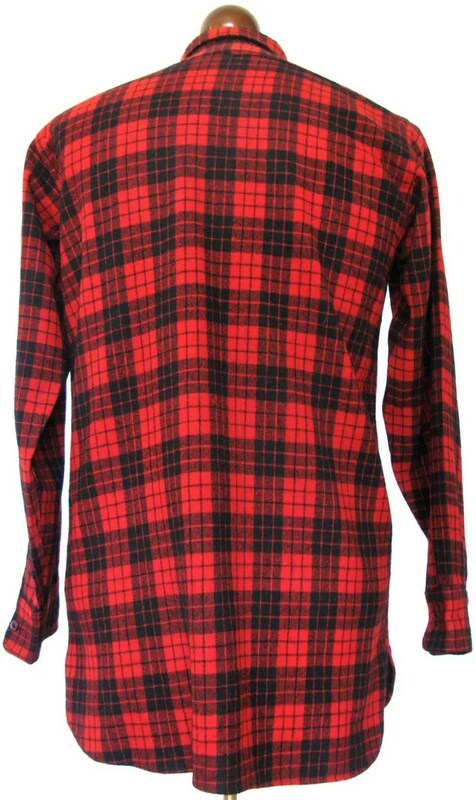 This entry was posted in shirts and tagged 1940s, clothing, fashion, hunting, mens, Pennsylvania, plaid, shirt, style, vintage, wool, woolrich by Spencer Stewart. Bookmark the permalink.